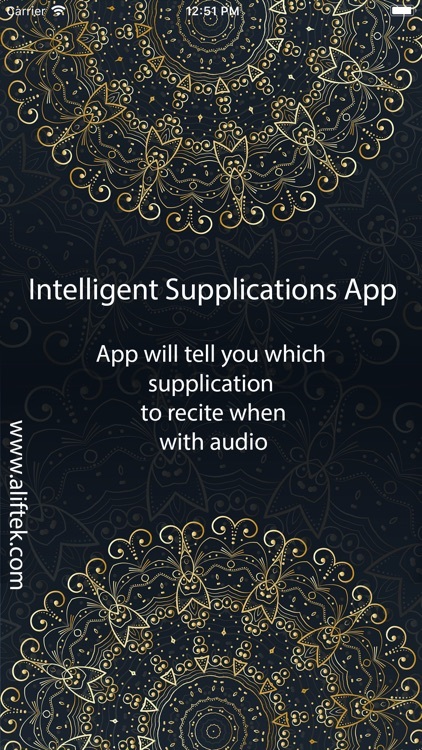 Intelligent Supplications (الاذکار النبي) is the finest Islamic authentic supplications application with audio, and automatic alarms and notifications on app store for you and your Kids. 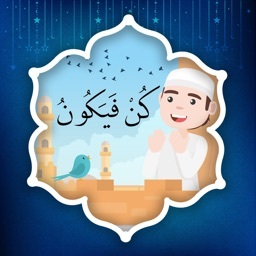 This supreme quality application is a special gift by our team to all the Muslims (of all age) all over the world on this Holy Month of Ramadan (Arabic: رمضان). supplications contains a wide range of categories of supplications/prayers/duas ( اذکار ) related to every event of life for Muslims of all ages. All supplications/prayers/duas ( اذکار ) have been taken from authentic hadith/ahadith ( (احاديثbooks and their complete authentic reference is mentioned with each supplication/prayer/dua ( ذکر ). 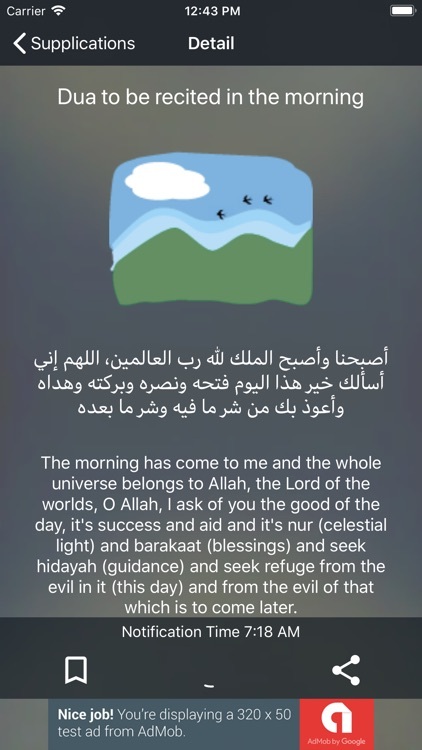 This is a unique application, which is accompanied with Arabic audio of all supplications/prayers/duas (اذکار ). 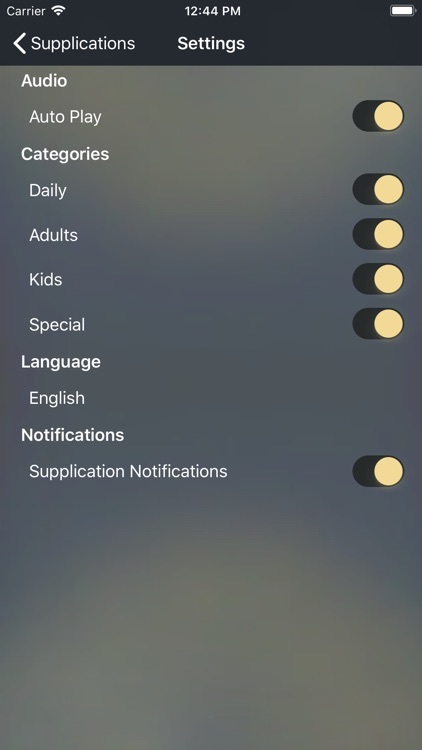 Another unique feature is availability of seek bar, using which you can control the playing of audio for each supplication/prayer/dua ( ذکر ). 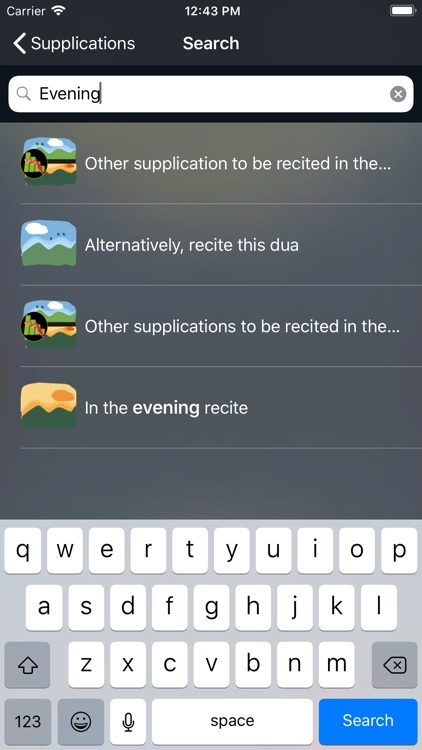 With the audio repeat feature of the app, it’s easy to memorize any dua. This master quality application is accompanied with simple and easy to understand graphic illustrations; this feature makes the look and feel of this application superb. Our graphics team has worked really very hard to create the illustrative graphics; they are very intelligently designed with aim of improving the user-interaction of this application. "Kids supplications" comes with 110 supplications covering almost all occasions of life. 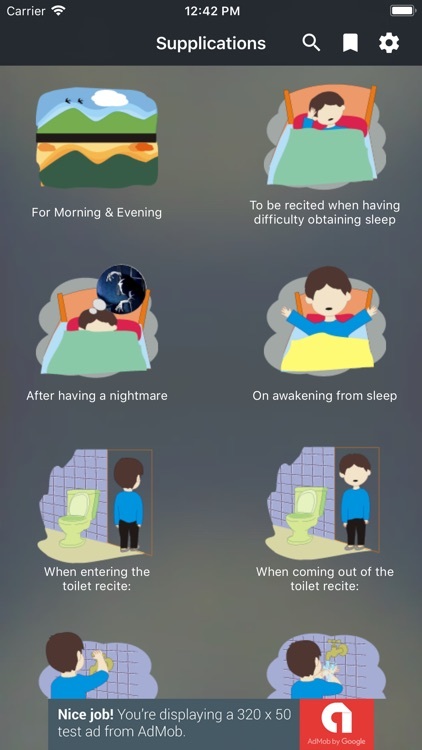 These supplications/prayers/duas ( اذکار ) are everyday of each Muslim in their everyday life specially kids. 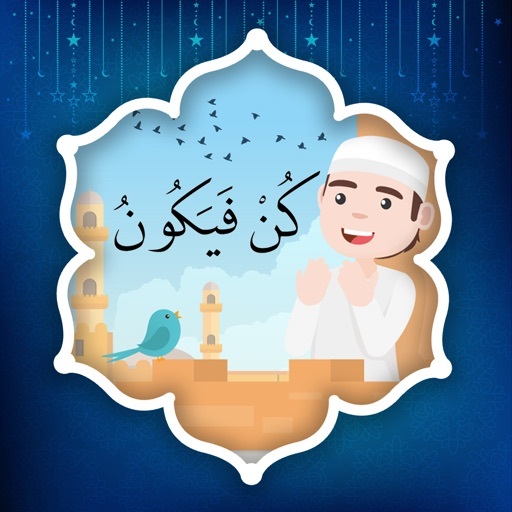 This applications is a wonderful tool for your children, to memorize these beautiful supplications/prayers/duas ( اذکار ). So, set up proper time for your kids in their daily schedule and let them memorize these beautiful supplications/prayers/duas ( اذکار ) and guide them to make a habit of using these supplications/prayers/duas ( اذکار ) on desired events. Ramadan (Arabic: رمضان‎ , Persian: ‎ Ramazan, Urdu: ‎ Ramzan; Turkish: Ramazan) is the ninth month of the Islamic calendar; Muslims worldwide observe this as a month of fasting. This annual observance is regarded as one of the Five Pillars of Islam. Holy month of Ramadan lasts 29–30 days based on the visual sightings of the crescent moon, according to numerous biographical accounts compiled in hadiths. The word Ramadan comes from the Arabic root ramida or ar-ramad, which means scorching heat or dryness. Fasting is fardh (obligatory) for adult Muslims during Ramadan, except those who are ill, travelling, pregnant, diabetic or going through menstrual bleeding.